MyBlogLog Widget :: Movable Type Extra Facilities :: PRO IT Service S.R.L. - Choose a professional and accessible service for your online image! PRO-IT has helped me with all of my web site and blogging needs and it's a pleasure to recommend their services. We are going to propose you a feature that you will definitely enjoy! 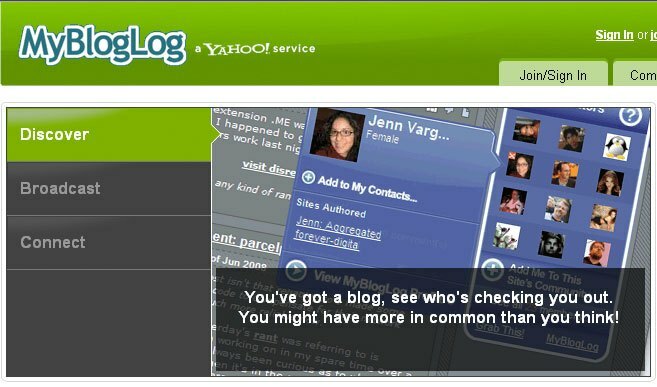 MyBlogLog is a service offered by Yahoo! which allows you to get some details about your Web site visitors, such as for instance their photos. 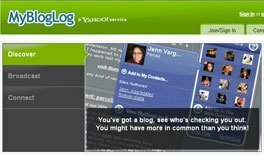 We are going to create an account at MyBlogLog using your Yahoo! ID, or you could create the account yourself! Then, we will be uploading a photo for your MyBlogLog account and setup your profile. Being a MyBlogLog member, as you visit MyBlogLog-enabled sites, your photo shows up on the widget - a virtual calling card. Clicking on your photo leads to your profile and all the stuff you share. To complete the MyBlogLog integration within your Web site, we will be getting and then adding the MyBlogLog widget into your Web pages. This will allow you to see on each and every page of your Web site that widget with your visitors photos, check your stats, see what people read and where they went next. Play host to your most recent readers and the returning faithful! Apart from discovering who is checking out your blog and seeing that you have more in common than you think, you could also share your online activity if you want to. 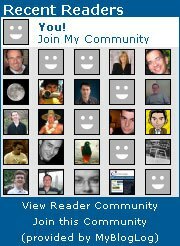 Your latest photos, blog posts, videos, tweets and more in a single page, updated automatically. Last but not least, as you find cool people on MyBlogLog, you can connect with them all over the web! As our main focus is on Movable Type Consultancy, we will be delighted to setup this feature for your Movable Type Web site. Other publishing platforms are also welcome.